Low carb diet, Atkins diet, low fat diet, Mediterranean diet, vegan diet or vegetarian diet? What is best? Supporters of various diets often end up in heated debates. To some content are many of them right. But many of them are also ignoring the fact that our body is a complex mechanism that requires a rich and balanced diet. Eating too little of a nutrient can cause disease. Eating too much of a nutrient is also not of the good. We can survive for a few days without water, but if we drink too much (several liters in a short period of time), the brain will swell with a deadly result. Many so-called diets are only removing water from the body and causes the body to slow down its metabolism because it is starving. "Diet-based-hypotheses on human health should not solely rely on evaluation of one nutrient at a time (saturated fat, total fat, protein, vitamins or any other factor presumed to be important). Such focus permits too much personal subjectivity and encouragement to make ineffective pills to prevent disease and side-effect laden drugs to treat unnecessary disease." - Dr. T. Colin Campbell, Center for Nutrition Studies. "Excessive intake of energy-dense food, a form of malnutrition, together with reduced physical activity, has led to an epidemic of obesity, overweight, and nutrition-related non-communicable diseases." - Sir Trevor Hassel in 2016 Global Nutrition Report. ​"The 2016 Global Nutrition Report highlights a really important issue: Worldwide, millions of kids are eating too much of the wrong foods, while millions more aren’t getting enough of the good stuff to let them grow and thrive. As the report shows, access to good, nutritious food is not simply a matter of personal choice—it’s a matter of government responsibility. It’s time for our world leaders to step up and make bold, brave decisions to tackle all forms of malnutrition. Fresh, healthy food is a basic right for every child—let’s make that a reality." - Jaimie Oliver in2016 Global Nutrition Report. 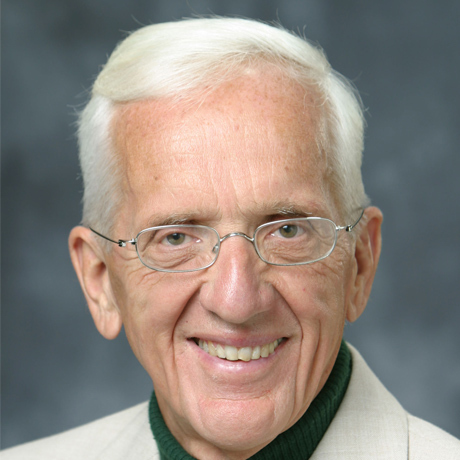 Dr. T. Colin Campbell, Center for Nutrition Studies. Regular physical exercise that keeps your heart pumping. Saturated fat: Beef, butter, coconut, full fat cheese. Mono-unsaturated fats: Olive oil and avocado. 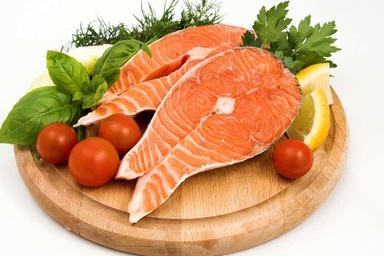 Omega 3: Salmon, trout, mackerel, tuna. Raw or dry roasted nuts. Walnuts also have Alpha Linoleic Acid (ALA), which has a positive effect on the heart. High fiber fruit: Prunes, apples, pears. Food with vitamin C: Rosehips, bell pepper, guava, kiwi, citrus fruits, broccoli, berries, tomatoes, peas and papaya. Food with vitamin D: Cod liver oil, oily fish (salmon, trout, mackerel and tuna), mushrooms, tofu, caviar, dairy products, eggs. Vitamin D is also formed in the skin when exposed to the sun (15 minutes per day is sufficient). Food with magnesium: Spinach, nuts, mackerel, beans, lentils, whole grains, avocado, bananas, figs and dark chocolate. Small amounts of red wine, but only if the triglyceride level is low. Alternatively take resveratrol supplement. CoQ10 supplement. Essential for the heart. Omega 7 supplement. Lowers inflammation. Salmon is a good source for omega 3. Processed carbohydrates: ​Sugar is the worst thing you can eat and should be avoided as much as possible. Products with white flour should be kept to a minimum. Cereals have often added sugar and should be avoided. Artificial sweeteners, as they cause the pancreas to produce insulin, which is highly inflammatory. Trans fats: Fried food, as the cocking oil is transformed to harmful substances by the heat. 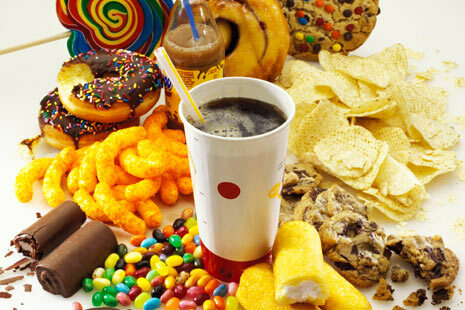 Junk food is full of sugar, trans fats and various chemicals. ​ - Dr. Steven Masley and Dr. Jonny Bowden: "Smart fat", ISBN 978-0-06-239229-9. ​​ - Tom Naughton: "Big fat lies" video. - Center for Nutrition Studies. ​ - Dr. T. Colin Campbell: "Low carb hot air - again, again and again!" 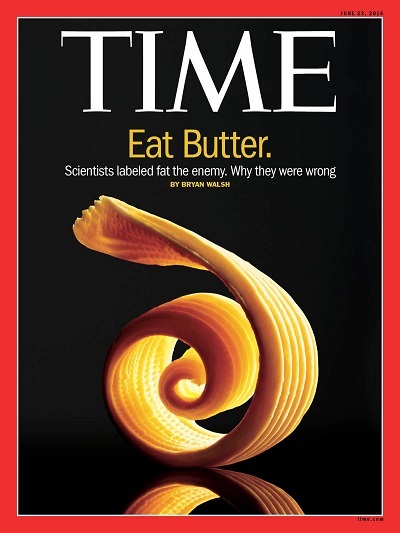 ​ - Dr. T. Colin Campbell: "A fallacious, faulty and foolish discussion about saturated fat". - Raymond Reiser: "Saturated fat in the diet and serum cholesterol concentration: a critical examination of the literature"
​ - Global Burden of Disease Study 2010. - Schnohr, Thomsen, Riis Hansen, Boberg-Ans, Lawaetz and Weeke: "Egg consumption and high-density-lipoprotein cholesterol​" (1994). - Jones, Pappu, Hatcher, Li, Illingworth and Connor: "Dietary Cholesterol Feeding Suppresses Human Cholesterol Synthesis" (1995). ​ - Cholesterol Ease: Homepage. ​ - Ron Schmid: "Cholesterol, Animal Fats and Heart Disease: A Modern Myth? Framingham and Ancel Keys." ​ - 2016 Global Nutrition Report. 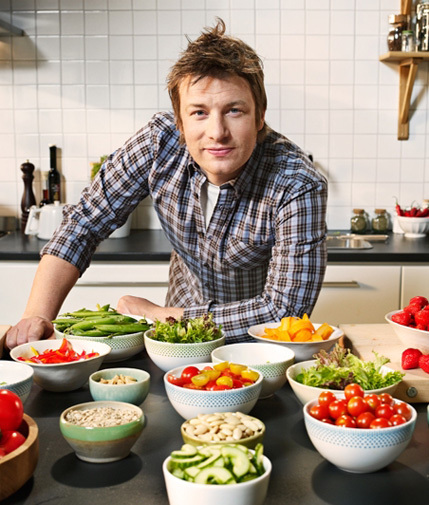 ​ - Food Revolution Network. - Dr. Aseem Malhotra: "The truth about fat and sugar". ​ - Dr. David Diamond: "How Bad Science and Big Business Created the Obesity Epidemic​". - Tom Noughton's blog Fat Head. ​ - Journal of the American College of Nutrition: "A Review of Scientific Research and Recommendations Regarding Eggs" (2004). ​ - Blesso, Andersen, Barona, Volek and Ferdanez: "Whole egg consumption improves lipoprotein profiles and insulin sensitivity to a greater extent than yolk-free egg substitute in individuals with metabolic syndrome" (2013). 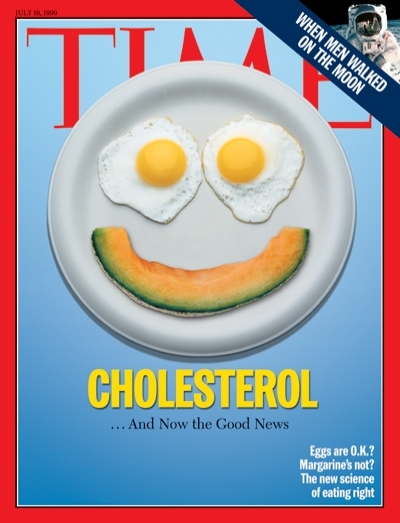 - Fernandez: "Rethinking dietary cholesterol" (2012). ​ - Mutungi, Waters, Ratliff, Puglisi, Clark, Volek and Fernandez: "Eggs distinctly modulate plasma carotenoid and lipoprotein subclasses in adult men following a carbohydrate-restricted diet" (2010). ​ - Blesso, Andersen, Barona, Volek and Fernandez: "Whole egg consumption improves lipoprotein profiles and insulin sensitivity to a greater extent than yolk-free egg substitute in individuals with metabolic syndrome" (2013).